This summer, Providence Restaurant Week will celebrate its 10th anniversary. For two weeks, from Jul 12 – 25, you can get a three-course prix fixe lunch for $14.95 and dinner for $29.95-$34.95 at some of RI’s finest dining institutions. What a great way to sample culinary delights that might otherwise break the bank. 1. If you’re up for homemade cured meats and cheeses: Bacaro. Part salumeria and part Italian restaurant, Bacaro has become one of my favorite places to dine in PVD. It’s the perfect place to spend hours sampling charcuterie while sipping cocktails and enjoying the city view. I’ve eaten here twice – on special occasions – and both meals have been memorable. I can’t imagine having a similar experience for a mere $34.95. Another great option on the list for charcuterie is The Salted Slate. 2. If you’re up for some romance: Gracie’s. I’m not a romantic, but a night out at Gracie’s will send even the hardest cynic into fits of passion. The restaurant is gorgeous and the food is both delicious and sensual. So if you you’re looking for a steamy summer night out, choose Gracie’s. Some other great places if you hope to get something going are Pot au Feu and Pane e Vino. 3. If you want to spend all that money you saved on cocktails: The Dorrance. My husband and I went there last Christmas and enjoyed cozy cocktails made with cinnamon, cloves and smoke essence. I can only imagine that their summer drink menu is replete with exotic elixirs that will be the perfect accompaniment to their prix fixe menu. And if not, I doubt you’ll notice after imbibing a couple of those strong but tasty drinks. Other places with excellent cocktail options are Local 121 and Federal Taphouse & Kitchen. 4. If you want to dine al fresco: Waterman Grille. There’s no better way to spend a summer evening than dining outdoors. The Waterman Grille has several lovely tables that overlook the glorious Seekonk River. Better still, their prix fixe menu looks outstanding, with choices like pan roasted hake served with baby bok choy, wild mushrooms and crispy tofu served over sesame scented udon noodles in a charred onion miso broth, or Brazilian style grilled flat iron steak with crispy potatoes, spring onion arugula salad and smoked pork belly. Some additional al fresco choices are Café Nuovo, Chapel Grille and the Duck and Bunny. 5. If you want an authentic RI experience: Camille’s. This landmark restaurant has been in business for over 100 years. Any place with that much longevity must be a sure thing. I haven’t been in many years, but I do recall a few details: the Italian food was inscrutable, the staff was exclusively male, and you never, ever wanted to sit near the window. Go and see if those memories still ring true. Other RI classics on the list are Capriccio and Angelo’s (great choice for kids). So, check your mood, pick a spot and make your reservations ASAP. 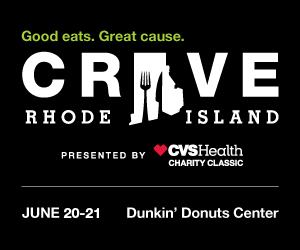 View the full list (add link: http://www.goprovidence.com/RW/) to see if your favorite restaurant is participating. Happy eating, on the cheap! NOTE: At the time of publication, most chefs were still working on their Restaurant Week menus, but they should be finalized soon. Once you’ve narrowed down your choices, check out each restaurant’s website to get a peek at their menus and make your final selection.